Panasonic Broadcast, Cinema and Professional Video Equipment!!! 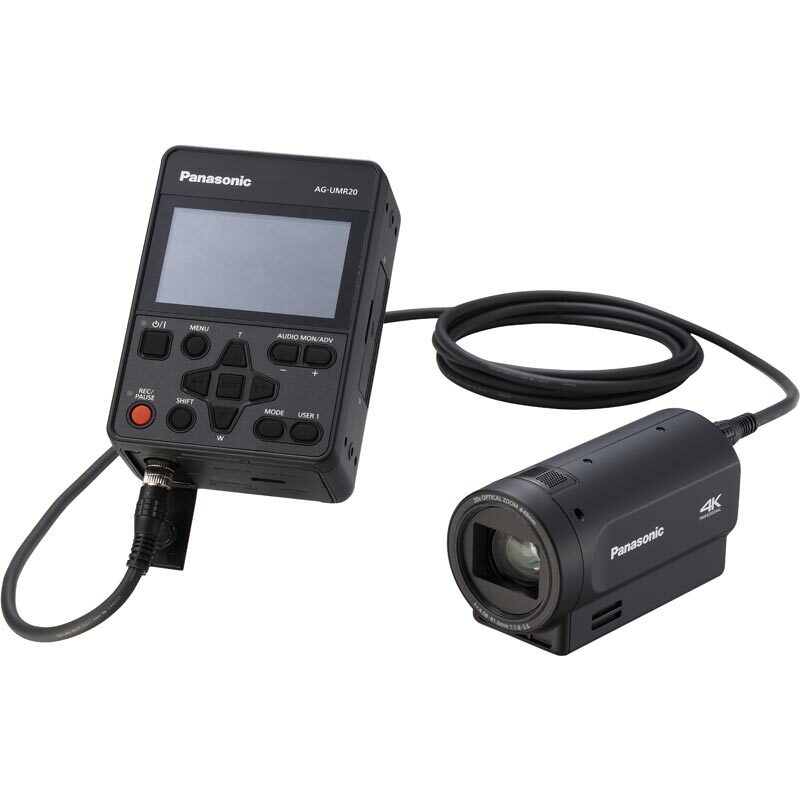 Among the many amazing products we provide and install are the latest in hand-held camcorders and recorders below. We look forward to your call. Introducing the AG-AC30, a handheld camcorder with top professional features including a powerful 20x optical zoom, wide-angle 29.5mm lens, LED light for low-light shooting, two-channel XLR audio inputs and simultaneous record or relay record with hot swap. 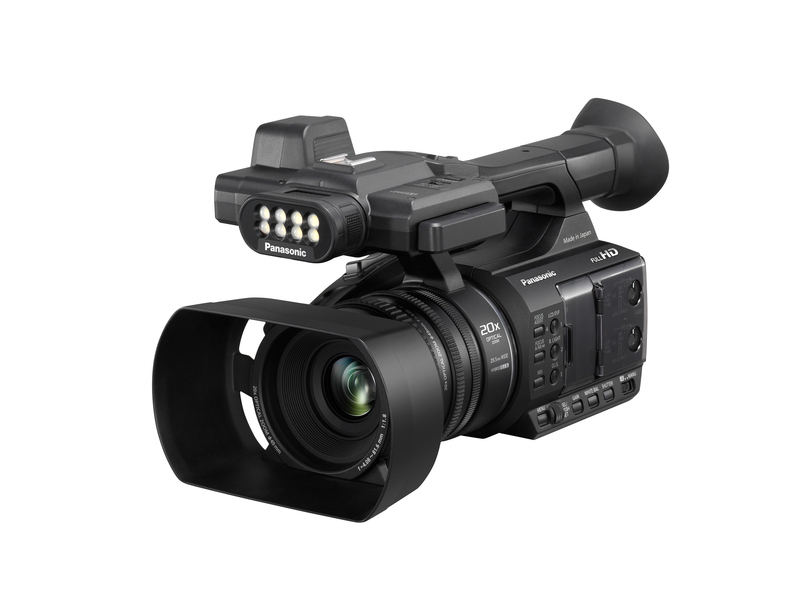 With Full HD (1080p) recording, the entry-level AC30 is ideal for shooting web videos, business conferences, exhibits, government activities, weddings and more. 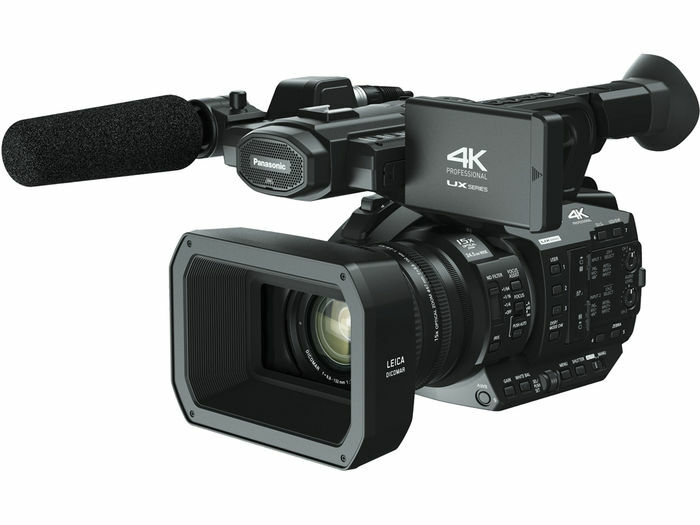 The AG-UX90 is the value model in the 4K UX Professional Camcorder Series, featuring a 1” (effective size) high-sensitivity MOS sensor with 15x optical zoom and a 24.5 mm wide angle lens. With its extensive focus assist features, multiple recording formats in 4K and HD, as well as precise image adjustment functions, the economical UX90 is the pro camcorder to upgrade to for entry-level 4K acquisition. 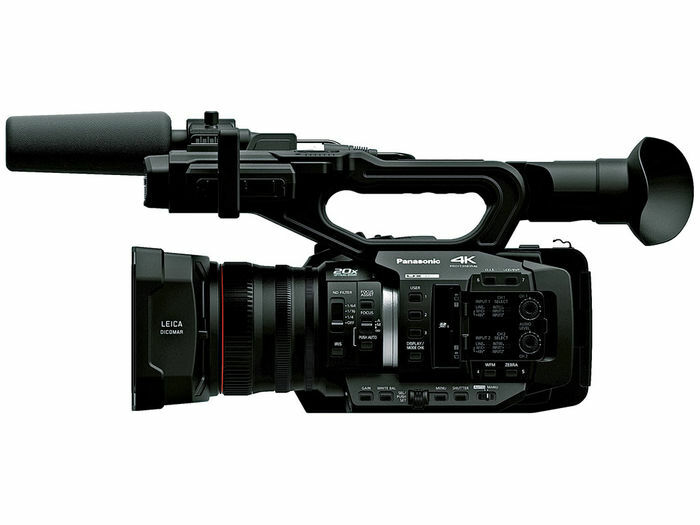 The AG-UX180 is the premium model in the 4K UX Professional Camcorder Series, featuring a 1” (effective size) high-sensitivity MOS sensor and the industry’s widest angle zoom lens (20x to 24mm at the widest angle). With its extensive focus assist features, multiple recording formats in 4K and HD, as well as precise image adjustment functions, the highly-affordable UX180 is the pro camcorder you’ve been waiting for to upgrade to 4K acquisition. The AG-DVX200PJ is the first large sensor, multi-format pro camcorder to capture 4K/UHD, HD and SD, including cinematic DCI 4K 4096x2160. As a large format 4/3” camera system, the DVX200 provides shallow depth of field/selective focus, a 13X zoom for easy control over image framing, and the ability to track your subject even in fast action. The AG-UMR20 compact field recorder is the ideal solution for broadcasting, video production, live streaming & more. 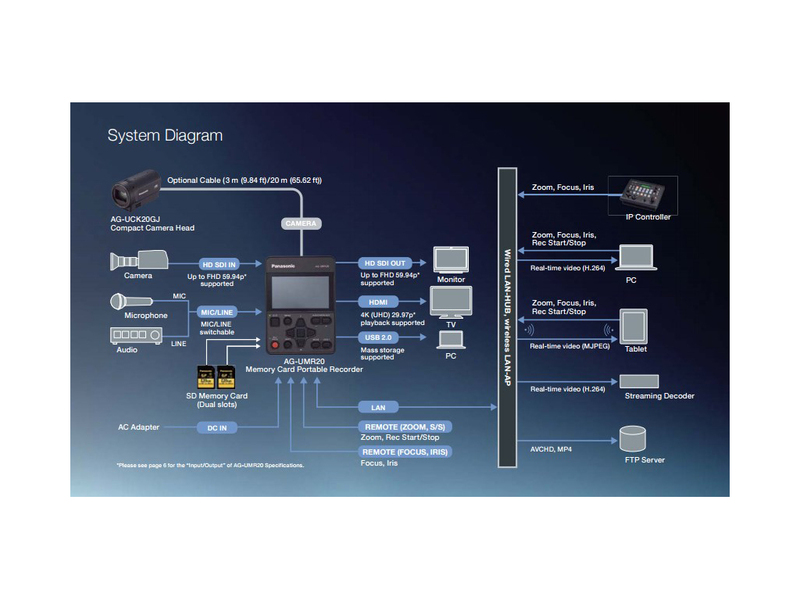 It can be used as a standalone recorder for external video sources such as PTZ cameras, broadcast cameras & switchers or be used with the optional compact 4K POVCAM camera head AG-UCK20 to facilitate ultra-flexible installations in places that would typically be out of reach.